Recently, we hosted a girls night out for a bunch of women at the studio. We had a blast!! They brought in some wine, a cake and gifts to say farewell to one of their own. I can honestly say that these ladies were a hoot to hang out with. I taught them how to make their own sugar scrubs and lip balms. 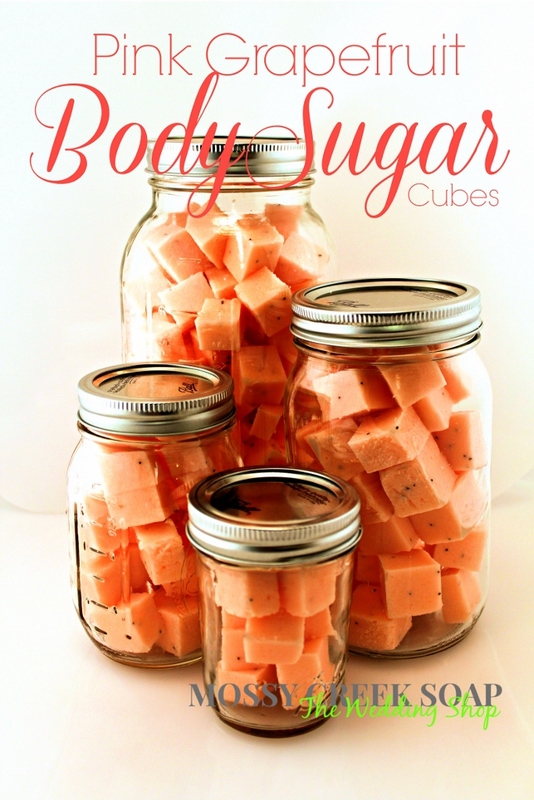 After class I had some sugar scrub left over so I thought I would try my hands at making solid sugar cubes. I love a good scrub but I was missing the soapy part. This recipe includes the soap and sugar all in one! ENJOY! Weigh and then chop goats milk soap base into 1 inch cubes, place in microwave safe container cover with plastic wrap. In separate container, melt cocoa butter and then add shea butter, let cocoa butter melt shea butter. Add Avocado Oil with a pinch of mica and essential oils mix well. Microwave soap base until melted 1 min, stir and continue in short increments until completely melted. Add melted soap into oils mixture, quickly stir in sugar. Pack into silicone tray mold then place in the refrigerator until solidified. After solidified, pop out of mold, Cut into Cubes— enjoy! Just thought I would personally welcome you to the Studio where we learn how to make all kinds of soap and bath products. We are located in middle Georgia approximately 1 1/2 hours from Atlanta. Founded in 2010, Michelle Rhoades the owner/teacher is a certified cold processed soapmaker with the Handcrafted Soapmaking Guild. Welcome to our corner of the world! We call it heaven in a bar of soap~ If you are wondering where we are located…Break out the map~ Point to the middle of Georgia and well that’s where we are located! Mossy Creek Handmade Soap proudly offers Eco Friendly Wedding Favor Soaps, Bridal Shower Favors,Handmade Artisan Soap, Natural Soap Wedding Favors and All Natural Liquid Soap. Scented with essential oils of Lavender, Lemongrass, Coconut, Rosemary, and Spearmint.. Made from scratch Naturally Fresh for you~ We believe in natural made soaps made with ingredients that you can purchase in your own grocery store. Not out of a chemist laboratory but homemade goodness without added fillers to make it last longer on the shelf. Our soap was FEATURED on the FOODNETWORK.com Gifts Guide for her, MACON TELEGRAPH, 13WMAZ CBS News and FOX24 NEWS. Owned and operated Georgia, we take pride in providing southern perfection in our handcrafted soap that take well over a month to cure. A Certified Soapmaker with the Handcrafted Soapmakers Guild and soapmaking teacher. 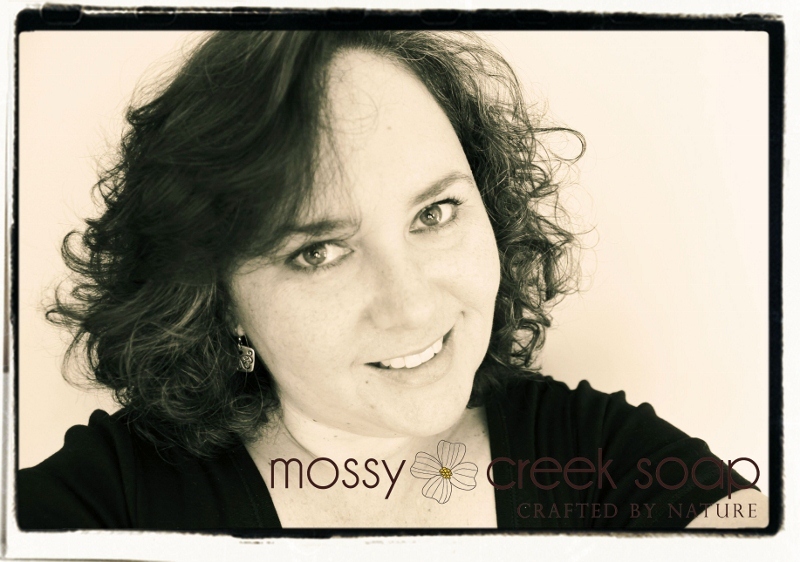 Michelle Rhoades, Owner of Mossy Creek Soap (above) grew up in the South and even though she wasn’t born here she considers herself a southerner. Thanks to her dad who was in Army when they got stationed in Georgia in the second grade.